Have fly-fishing call you from the porch to wade our stretch of Knapp’s Creek, walk into town to fish the Greenbrier River, or day hike into the Cranberry Wilderness in search of native Brookies. Read More in our Article in Eastern Fly Fishing Magazine! Fishing Licenses are available in town at Appalachian Sport or online at wvhunt.com. You do not have to stay at the Lodge to have fun on the water! to book your Guide or Beginner Fly Fishing Instructor so we can get you hooked up! Backcountry Exploration- Looking for a challenge? Head into the Monongahela National Forest - Current Permit Under Review for 2019 - We are adding more off-base locations! 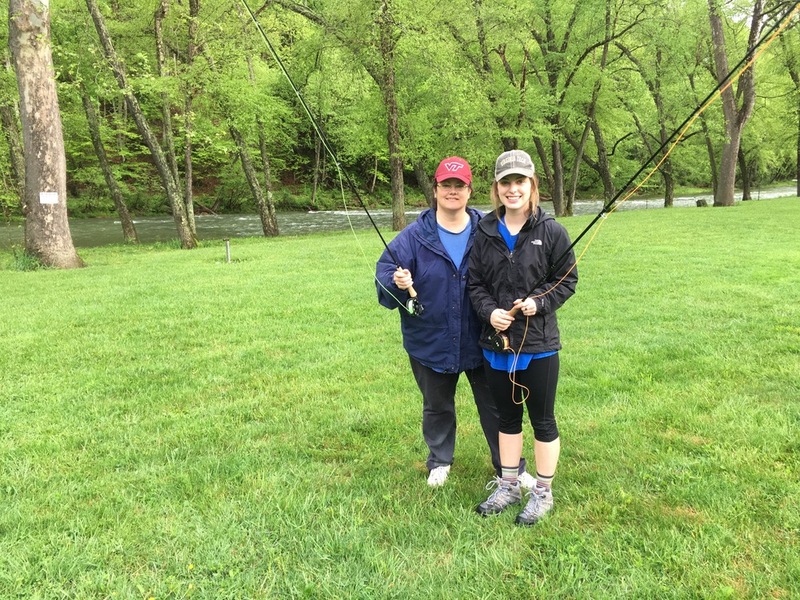 Beginner Lessons- Get your feet wet with your own fly fishing class in a friendly environment at the Lodge. Begin with an equipment explanation, go over the casting basics in the lawn, and hit the water for a hassle-free first experience! Keep in mind - Fly fishing is not just for the boys.